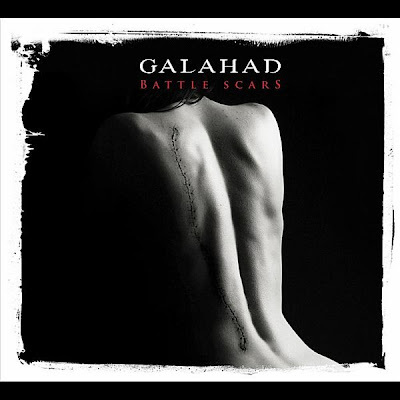 And my album of year for 2012 is... Battle Scars by Galahad! It had been a six year wait since their excellent Empires Never Last album and my investigations of the bands back catalogue had not been as fulfilling as I'd hoped. Consequently I was concerned that lightning may have only struck once but Battle Scars blew any worries away - it is awesome! Galahad have released two albums this year and whilst Beyond The Realms Of Euphoria is very good, I think Battle Scars tops it with an eclectic mix of musical styles from the heavy metal through neo-prog to trance. Not only does this album get your foot tapping (and maybe your bum wiggling) but also your head banging with some serious guitar riffing! The vocals are passionate, the keyboards pulse, the drums pound, the guitars rock, nothing is missing from this album. It is hard to pick individual songs out of the whole but Beyond the Barbed Wire and Seize the Day probably encompass all that is great with this album.